A hitchhiker wonders if she’s just being prejudice, or if the black guy at the wheel is the cannibal mass murderer the police are looking for. This social thriller stars Frank Harts and Lio Mehiel. Produced by Joanna Bowzer and Donaldo Prescod with Ben Roif as DP. To watch Black People Are Dangerous on YouTube click HERE. For more details about the film go to our Seed&Spark or IMDb page. 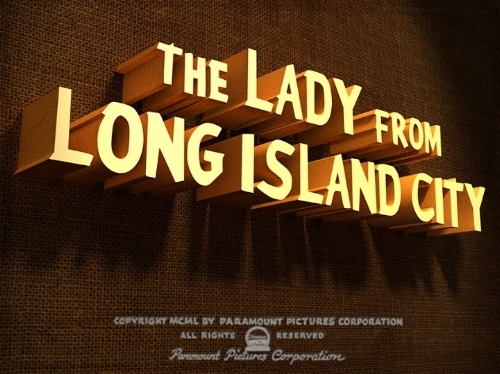 The Lady from Long Island City is a modern day noir. Julie, a TV exec, is being blackmailed by her ex-husband. Feeling trapped, she decides to hire Sam, a contract killer, to take him out. When Julie and Sam meet for the first time, there are surprises at every turn that neither could have expected. Starring Olivia Jampol and Marlowe Holden, written by Donaldo Prescod, directed by Kristan Seemel. Produced by Clea DeCrane, cinematography by Brendan Swift. Go to the Seed&Spark or IMDb page for more details.